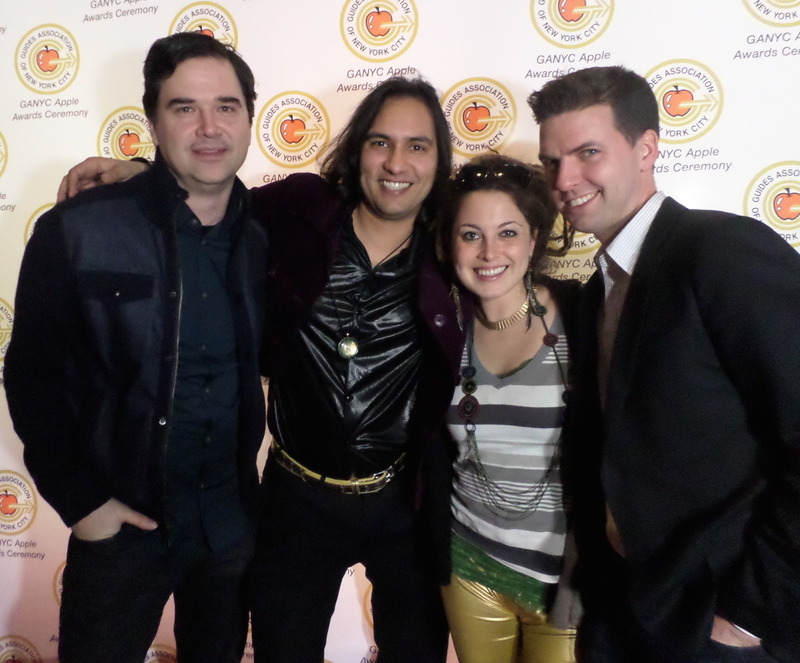 Me and Anna with Greg and Tom (the Bowery Boys), who won for Best Podcast. Last night’s Guides Association of New York City Awards Ceremony was a blast. The guides certainly know how to throw a good party. It was my first time at Bar Thalia, the cute side space to the Leonard Nimoy Theater. Nimoy, who passed away recently, was instrumental in reviving the Symphony Space Theater. I am pleased to say that I predicted incorrectly in each of the nine awards categories. That’s even worse than if I had guessed completely randomly, but I like it – who needs a predictable awards show? Here are last night’s winners. : Palaces for the People: Guastavino and the Art of Structural Tile, March26 – September 7th, 2014, Museum of the City of NY. : Niki Russ Federman & Josh Russ Tupper, Russ & Daughters.